The rest of the group was watching a gecko hunt a moth. “It’s like mini Nat Geo,” said the British Aussie guy. “Go, go, go!” came anguished cries from the German student teachers as they rooted for the moth. The gecko had failed to nab it but had damaged its wing, and stalked it as it hobbled away. The German wife shrieked as a very large beetle crawled onto the table; the Chinese father unceremoniously whacked a plate on top of it. Megan stepped into the chow hall and gave us the day’s drill. 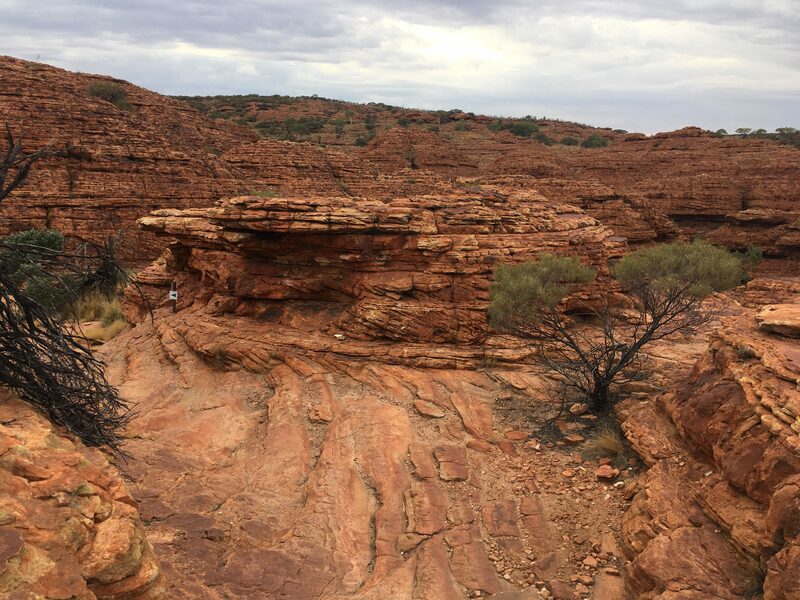 “We’ve got a short drive to King’s Canyon, a three-hour hike, then a very long drive to Alice,” she outlined. “The hike has 500 steps. Do Not Go near the ledges! Are you listening to me? “Don’t be that person who backs up to the edge of the cliff to get a selfie and ends up a mangled pulp at the bottom! If you go closer than two metres to the edge, I will send you back to the bus. If ya think 500 steps is too much, there’s a couple other walks that aren’t as bad, so come talk to me,” she finished. And so I did. The alternate hike had “only” 367 steps, so I still got a good workout. The track, as Aussies call a trail, was rugged. Once I was at the summit it was still a matter of stepping up and down and around boulders and jumping across gaps in the rock. It took concentration. It was beautiful. There were no other humans for an hour. I paused near a cliff to listen. Eagles soared on the updrafts. The wind whistled quietly. I turned. A wallaby appeared, made three boing, boing, boing leaps, then was gone. When you see them, you can’t help using the word boing. A wallaby! This was my first sighting of a jumper. 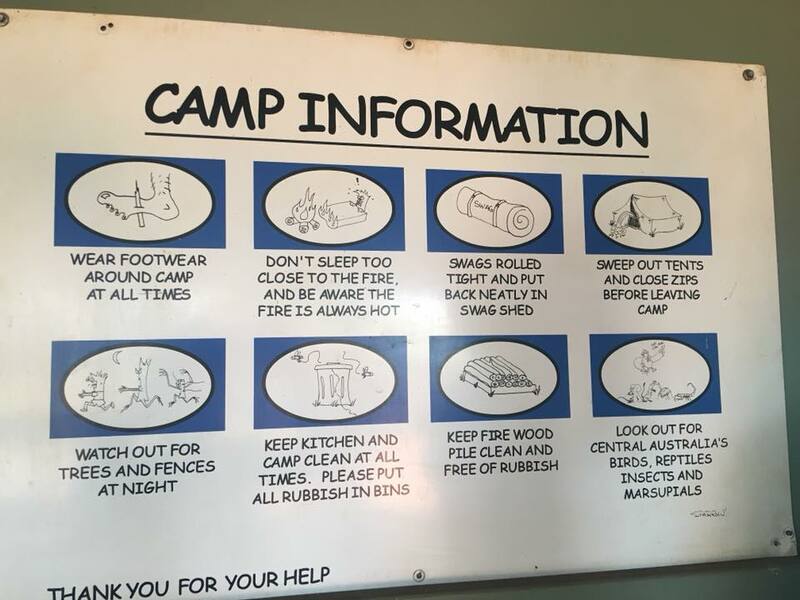 I later learned from interpretive signage that it had been a Euro, and that there are lots of wallaby species: Swamp wallaby, rock wallaby, red-necked wallaby, hare wallaby, agile wallaby, black-footed wallaby, etc. Mine hadn’t even been a wallaby, but a wallaroo, which are larger than wallabies and smaller than kangaroos. I sat on a rock and ate the granola bar Meg had doled out. 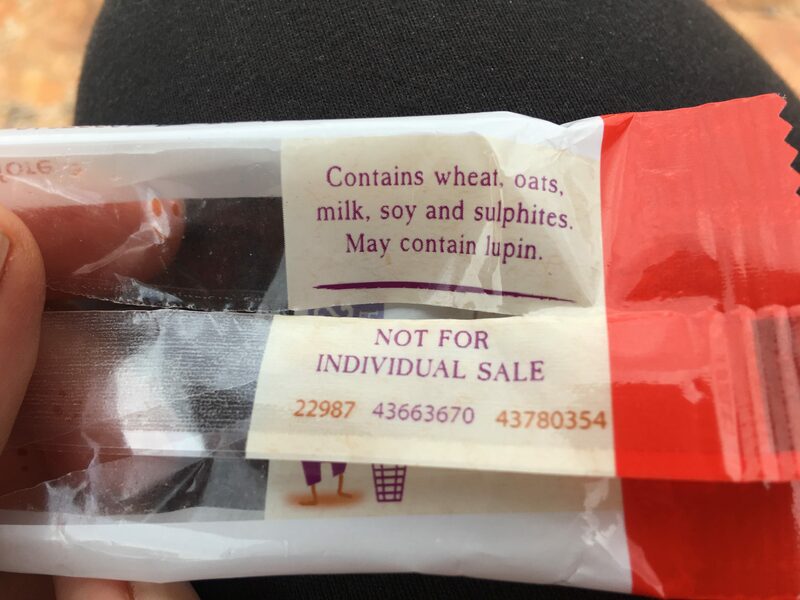 Why was there a warning that it contained lupin? Lupin—as in the wildflower that grows in northern Minnesota? The “easy hike” took two hours, and after descending I followed a flat path that stretched up the middle of the canyon to fill time before the group returned. The valley was green and lush. I was taken aback by a sign asking people in that very polite Australian way to not vandalize the trees. 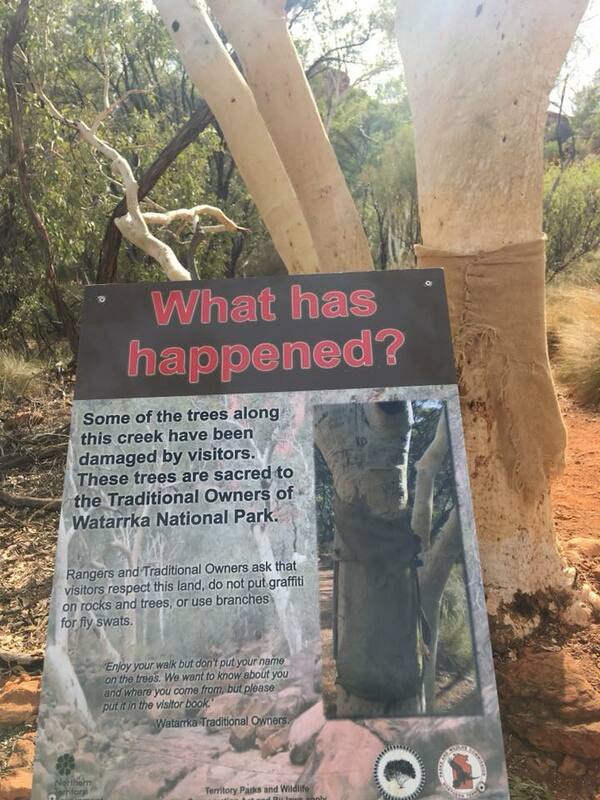 Who vandalizes trees in a national park? Suddenly I heard a loud whirring noise, and looked up to see a drone. “It’s ours!” returned the father proudly, while his daughter stomped on a line of leaf-cutter ants. I hoped the drone didn’t have a camera, and that my comments wouldn’t go viral on YouTube. No, wait—I hoped they would. I realized this was the first time I’d felt irritated with my fellow humans in a week. Normally, I am irritated with them almost every day. Is it just me? 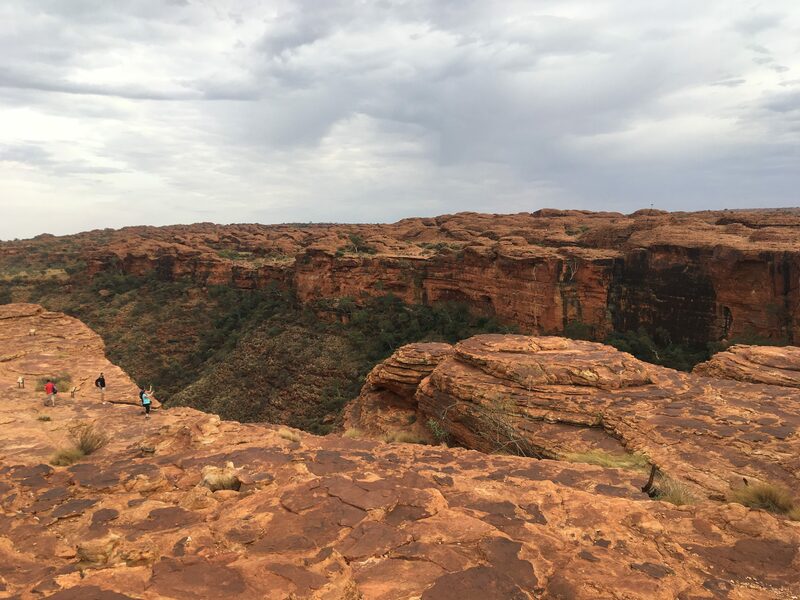 This entry was posted in Adventure, Budget travel, Culture shock, Travel and tagged Australia, Drones, Kings Canyon, Outback on December 5, 2018 by Breaking Free.